General Description: Regional Representatives represent a specific region of the state and shall be chosen from occupational therapy practitioners who have been in good standing with AOTA and FOTA for a year prior to appointment. To find out more, please contact Cathy Peirce, Regional Representative Coordinator at [email protected]. Facilitate communication between regional FOTA members and the Executive Board. 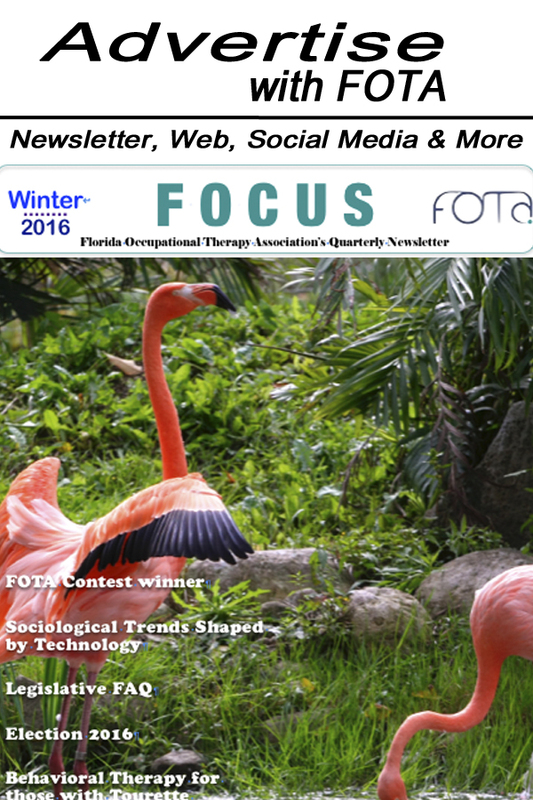 Develop local strategies for encouraging and increasing member participation in FOTA.. Attend established forum meeting(s) in their region whenever possible. Facilitate development of new forums in their region. Respond to member inquiries in a timely manner. Assist with the nominations process by identifying potential candidates for FOTA/AOTA elections and FOTA Awards. Regional Representatives will select a coordinator for the group and may choose to meet together or with members from their respective regions during FOTA events. Assign a record keeper to take minutes at each Regional Representatives meeting, maintain a copy of the minutes and submit minutes to the secretary, within 14 days of event. The Regional Representative will submit a written report to the Secretary at least 2 weeks prior to any Executive Board meeting. Discharge other duties as designated by the President and FOTA Board. The Regional Representative or designee will contribute articles to Focus publication minimum of 2 times per year.